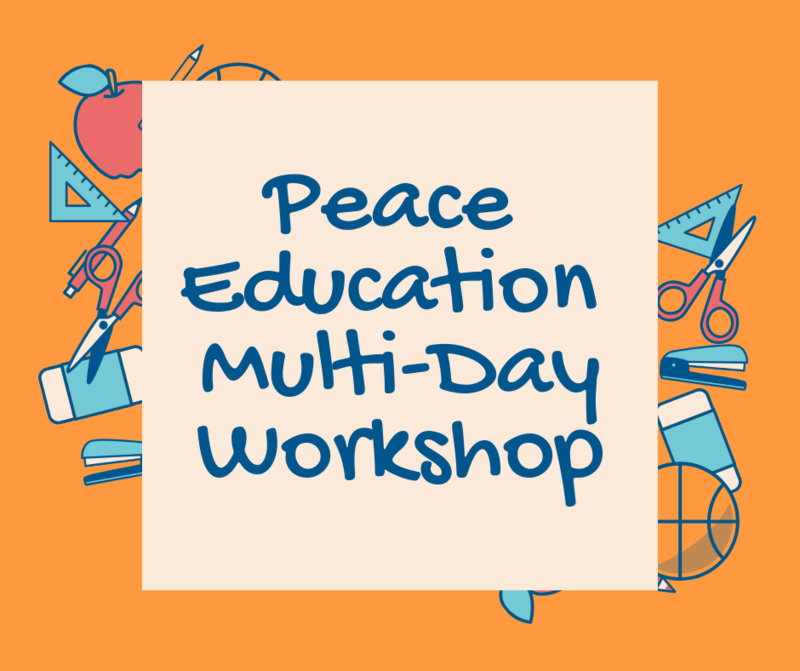 Peace Education Multi-Day Workshop for educators and youth-serving individuals who would like to become trained in the best of Peace Learning Center’s Social-Emotional Learning, Equity, and Restorative Justice work. Day 1 June 24 (9:30am-4: 30 pm) Help Increase the Peace Program (HIPP) empowers people through conflict resolution activities that can be done with students in upper elementary through aging adults. Participants will get trained on how to use the HIPP manual to teach/support non-violent approaches/activities to conflict resolution and social change; adaptable for schools & workplaces. HIPP Curriculum Book included. Day 2 June 25 (9:30am-4: 30 pm) Implicit Bias & Equity Education module examines what implicit is, how it differs from overt bias, how to recognize our own, and how we move past bias through action. Day 2 focuses on self-exploration and self-reflection in a safe, encouraging space through identifying and owning your own implicit bias(es) and overt bias(es), how this connects to being a gatekeeper (person with power), and how this can inform/influence actions & interactions with people. This module will have a small “homework” assignment before attending. Day 3 June 26 (9:30am-4:30pm) Restorative Practices Proactive (level 1): Relationship Building module participants will focus on why restorative practices are a useful and effective framework for communication, behavior, and discipline; dispel myths about restorative practices, will learn about the continuum of restorative practices and will learn how to use affective statements and restorative chats. We cover the core concepts and practice so that you will emerge with a clear understanding of what restorative practices are (and are not), skills associated with the various steps of the restorative continuum, and how they can be implemented in a number of settings. Day 4 June 27 (9:30am-4: 30 pm) Restorative Practices Restore (level 2): When Harm is Done module opens the conversation for attendees to discuss and improve upon their work in restoring communities that have undergone destructive harm. Attendees will gain clarity and confidence to take on restorative circles and conferencing. The training will walk through real-life examples and role-playing opportunities for attendees to solidify their learning, shift their skills in proactive restorative basics to be able to facilitate challenging and difficult conversations that create lasting change by repairing broken relationships. Day 5 June 28 (9:30am-4: 30 pm) Implementation Planning module will focus on how to plan and implement all these practices learned in the school/organization. A plant-based lunch and park pass is included in each day. Please contact Natalie (NSpriggs@peacelearningcenter.org) if there are dietary restrictions.